There are several available options to securely make your gift online. Transferring stocks or other securities to YWCA Delaware may be a cost-effective way to make a gift. If you use the itemized tax form you may be eligible to receive a charitable deduction for the value of your stock and may not have to pay capital gains on the appreciated stock. Is there a special woman in your life — a mother, grandmother, aunt, spouse or friend who has served as an inspiration to you? 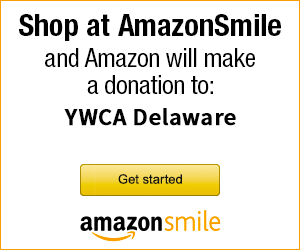 Honor her with a gift to YWCA Delaware. Tributes serve as memorials, as well as to commemorate significant life events, such as Mother’s Day, anniversaries and birthdays. Tribute gifts must be $25 or more. You can remember YWCA Delaware with a planned or estate giving bequest in your will. Planned gifts such as annuities and trusts may provide you with funds during your lifetime, while also providing for YWCA Delaware. Gifts of whole life insurance policies and IRA’s are increasingly popular ways of giving. Knowledge that your gift is helping women transform their lives and the lives of their families. To learn more about any of our giving programs, please contact Chief Development Officer, Donna Connor, CFRE, at dconnor@ywcade.org or 302.655.0039 ext. 22.